We give the following to all students beginning My English Book and Me: Elementary 2 (previously known as My English Book and Me 4). It details the HOW / the WHAT and the WHY of the way we teach the way we do. It also tells students what they can do at home. We find it really helps our students to become strong readers, writers and speakers of English. This is the Japanese translation. Feel free to share with your students also. 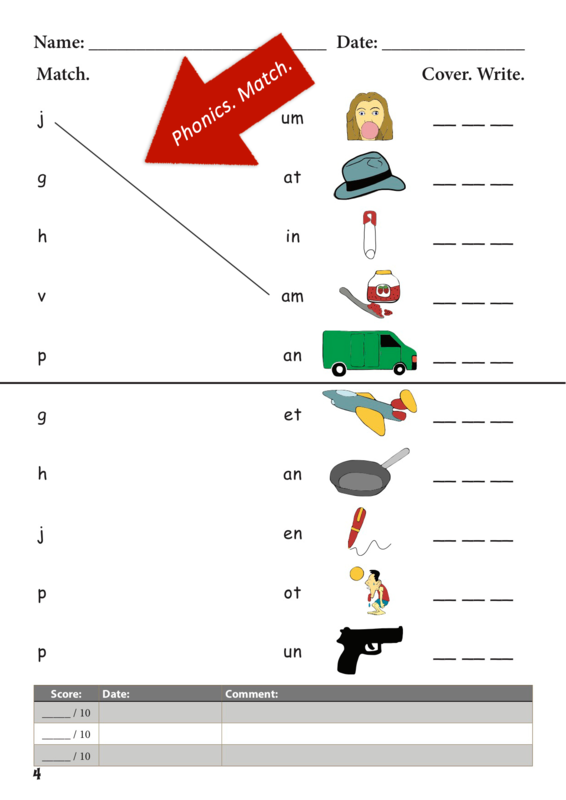 My English Book and Me: Elementary 2 teach CVC phonics, longer words and conversational English. Teachers will fold pages in half and write the date on them. This is the homework. Depending on the child’s age, we will assign more or less homework. 1st, 2nd and 3rd graders: 2 pages. 4th, 5th and 6th graders: 3, 4 or more pages. A. Write your name and date at the top. C. Speak out loud as you read. 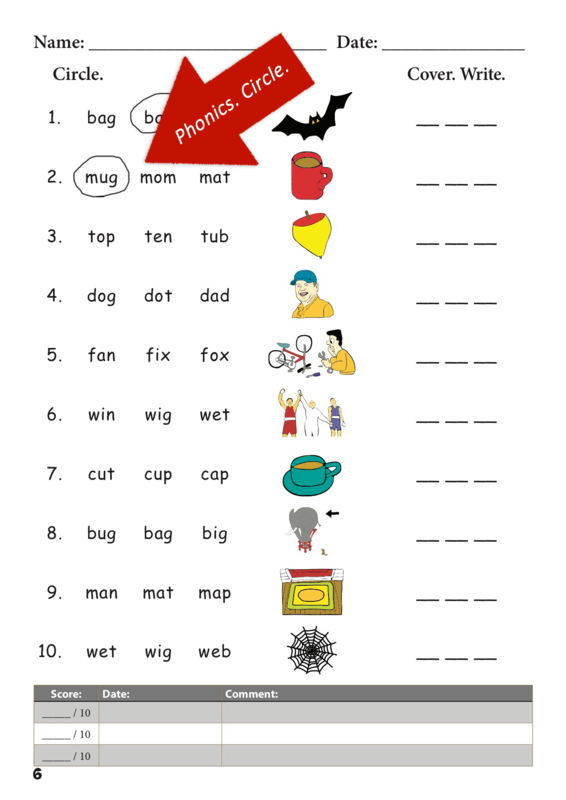 D. Finish ALL 1 - 10. E. Re - read out loud. F. COVER the left side of the page with a notebook. G. Look ONLY at the picture. Write the word in your notebook. Do 1 - 10. F. CHECK by yourself. Look at the word in the text. Circle any mistakes with a red pen. Write your score out of 10. Erase and correct mistakes. DO AGAIN if there are MANY mistakes. G. DO NOT write on the _ _ _ lines on the right side of the text book. The _ _ _ lines will be done IN CLASS in front of the teacher as a TEST. **** some pages only have pictures and _ _ _ _ . These pages, practice in a notebook. Don’t write in the text at home. Write in the text. The full page. If students make no or few mistakes, they will do the page only once. If they make many mistakes, that’s OK. By re - doing a 2nd or 3rd time, students learn from their mistakes. Students will generally level up to My English Book and Me: Elementary 3 (AKA MEB 5 or the purple texts) in 1 to 1 and 1/2 years. 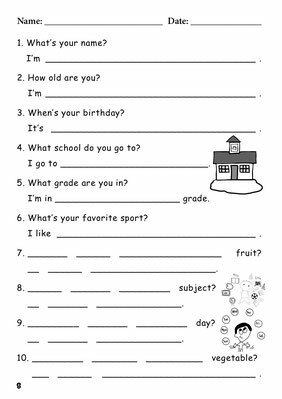 Class writing time (about 20 minutes) will begin with the TESTS in the home book that students practiced in their notebooks for homework. 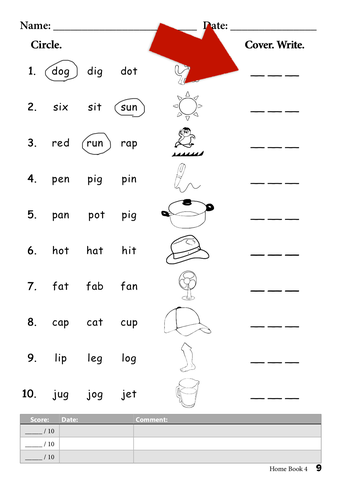 They will cover the words on the left, look only at the picture and write the full word on the _ _ _ lines on the right. The teacher will write the score. If there are no or 1 mistake, the student doesn’t need to re do the page. The teacher will mark the page with a heart or star or big check. 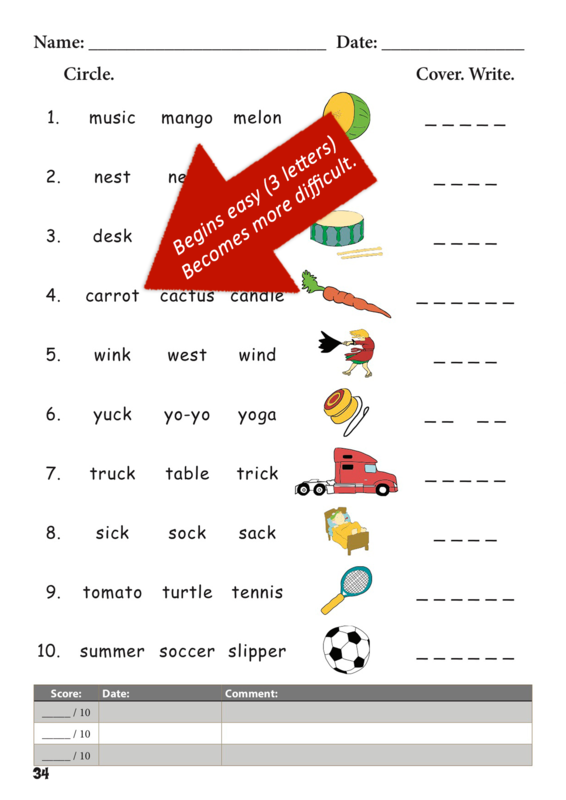 If there are many mistakes, the teacher might assign the SAME page for homework (please practice) OR erase the mistakes and re - do a 2nd or 3rd time the following weeks. 7. 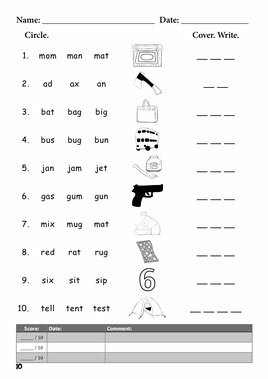 How do students learn the phonics, vocabulary, questions and answers IN CLASS? 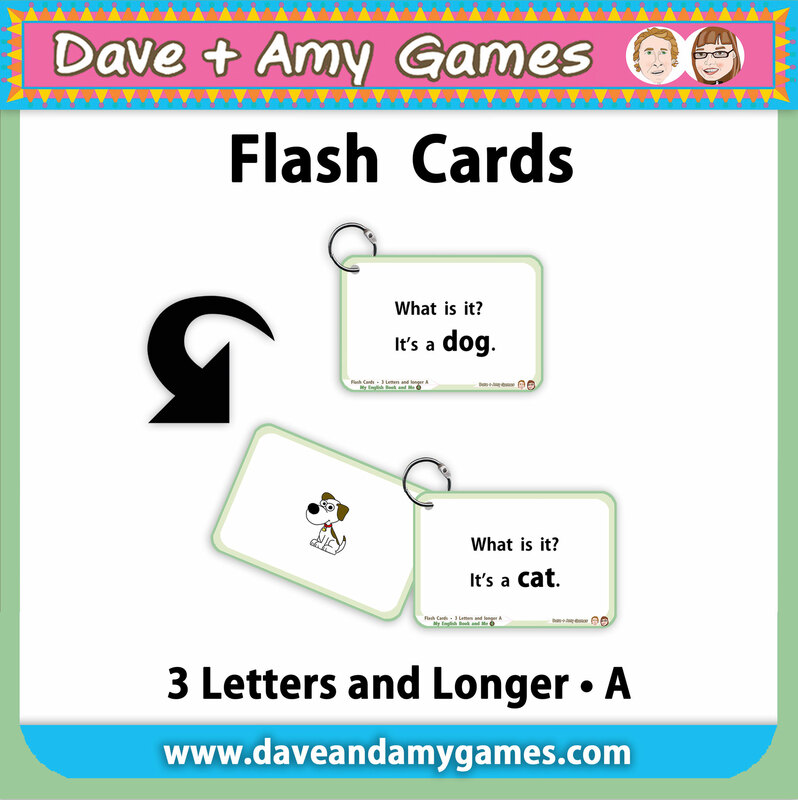 All of our materials (the text, games, flashcards) re - enforce each other. Students become confident speakers, readers and writers BECAUSE they learn the same thing in different ways. It is not boring. 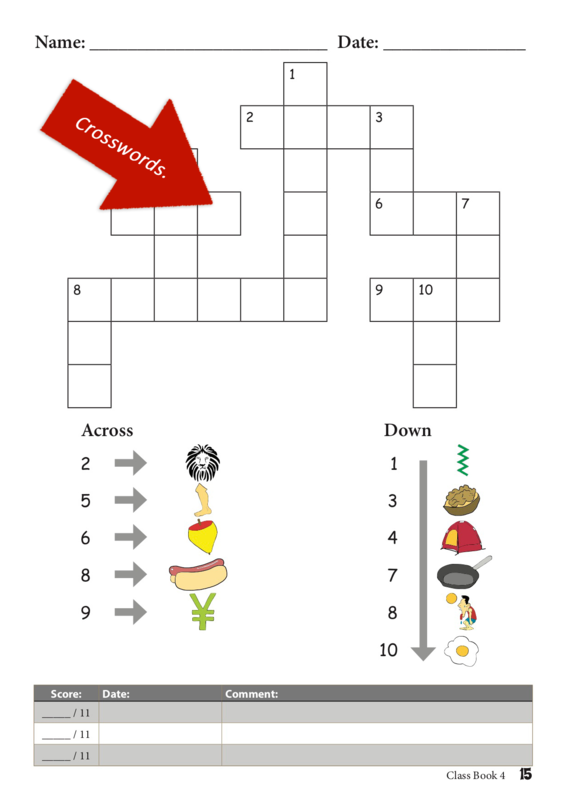 When 1 level becomes easy (for example Flip ’n Read A (FREE at this LINK) we level up to the next level (Flip ’n Read B). The next level is a new challenge. Students can READ. They will work in pairs or groups of 3. Reading / speaking / remembering (looking only at the picture and remembering the question and answer that goes with it). The teacher will listen and correct wrong pronunciation. The emphasis is on the students speaking, reading and doing. Many students will LEVEL up to the next LEVEL of games and flashcards (My English Book and Me: Elementary 3) BEFORE finishing My English Book and Me: Elementary 2. Reading level is often higher than writing level. Students will learn the vocabulary / grammar / conversations in the next text BEFORE writing in the next text. Your child is on the way to becoming bilingual. It will be a long road but it can absolutely be done. We have some diligent students who have continued from 4 years old to high school and are fluent English speakers, readers and writers. 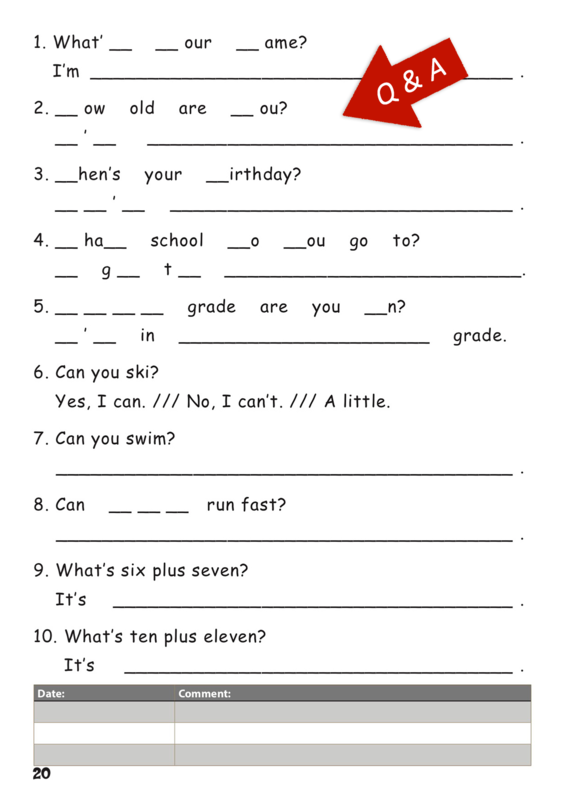 Do all of the above and we guarantee your child will be confident in English. Get the blogs and information on sales by signing up to the newsletter. How to Start your Own English School? What we do in our very successful Trial Lessons? What we like about life for Kids in Japan?